I flew into Lebanon shortly after polishing off a quick book on it’s incredible past. The middle east is a part of the world I, like most westerners, have been ignorant of. Fear has dominated the news reports of that part of the world. Years of civil war with factions vying for control that number in the dozens. During those years westerners were routinely captured and imprisoned by radicalized militants who wanted to demonstrate the visceral hatred they had for anyone or anything from ‘the west’. The area quickly gained the reputation of a great place not to go. To be honest, I never paid it much attention. So this trip to Lebanon was a Divine invitation. To learn what I had refused to bother learning before. It was a window into the west-east complicated history and right smack in the centre of current tensions of today’s world. It was a front view of one of the oldest surviving Christian community responding to the call of Christ in a wave of overwhelming need. It was the witness of the church in the vast sea of the Arab world. It was humbling. 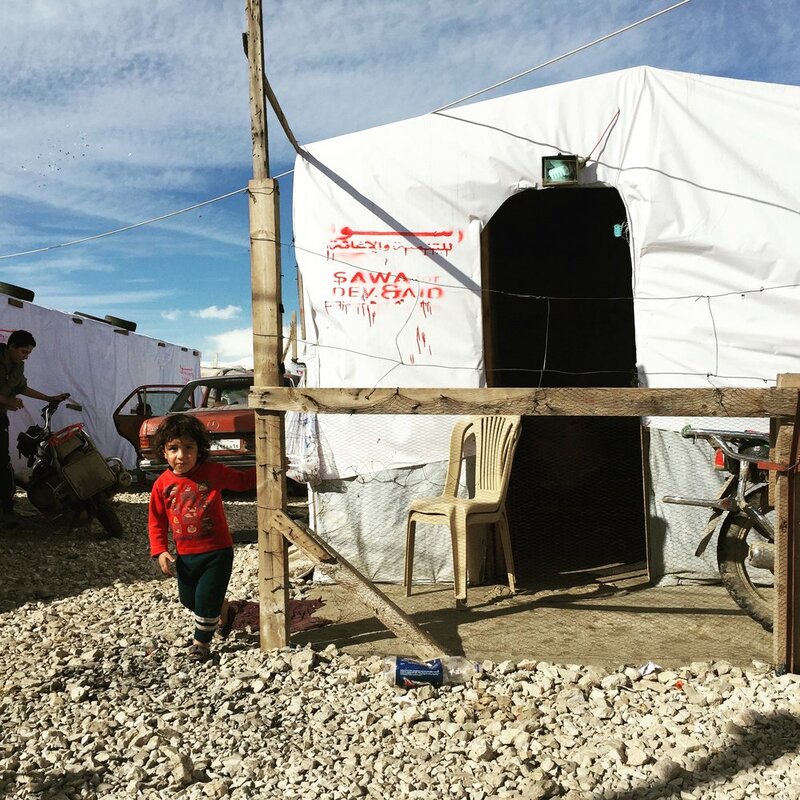 I was in a tent dwelling of a Syrian refugee Muslim family on the edges of a town in Northern Lebanon. The nine-year old girl goes to a school run by a Lebanese Christian mission. They run a school for kids who have no other means to get an education. The mother was telling us that when they sent their little girl to school they were very worried about her. She was angry and hard. She had bottled up her emotions and was emotionally distant and prone to violent outbursts. They watched as every day upon return from her school she started changing. Softening, her mother said. Her rage left her and her innocence seemed to return. She was a little girl again. The family was so profoundly affected by the change in their daughter that they asked her what was happening. How was this little girl so transformed in only a few months? She told them about Jesus. And Forgiveness. And Peace. She told them she had hope for a future and for the first time in a long time she could dream of living a different way. She told them she didn’t have to be angry anymore and that Jesus was love. The family went to the Christmas play and witnessed for themselves the good news that Jesus showed up in a posture of humility and weakness to offer those of us stuck in darkness some light. They wanted more light. As we sat on the few foam mattresses the family used for surviving the cold nights, in their white UN supplied canvas tent, they asked us to pray with them to encounter the same Jesus that had transformed their daughter. It was beautiful. It was a picture of how the church should be. Transformation at the center of everything. Honest questions about the demonstrated power of God in a persons’ life. Community encounters of face to face faith that visits as equals with respect, responding to each other’s needs. That little girl gets a quality education no matter what her spiritual quest looks like. That family gets a way out of hopelessness for their future, no matter what their spiritual beliefs are. But somewhere on that journey, agenda free, Jesus shows up with an invitation to the deepest need in every human heart. The need for healing from the inside out. A child will lead them. A nine-year old little girl standing in stark contrast to a world dominated by strength where mortar and rockets have left their marks on a society ruined by a thirst for power. A nine-year old little girl with a big fat smile and some peace in her heart that is so starkly bright in the middle of a dark sea of suffering humanity. She sings the song she learned at school that she taught to her family, in English. Jesus loves me. Simple and profound. The love of God shooting up through the ground – giving life right where it seems things go to die. A nine-year old little girl becomes the vehicle of transformation, a beacon of hope, a light in the dark, a carrier of God’s glory. Christ in us. I am a witness to the way of Jesus. And it’s a beautiful thing to behold.